Jo Turner is a leading dual qualified Dietitian / Sports Dietitian and Exercise Physiologist, based in New South Wales, Australia. She has had an extensive career, working in the media as well as within corporate health, food industry roles and as a leading Sports Dietitian with high profile & elite sports people. 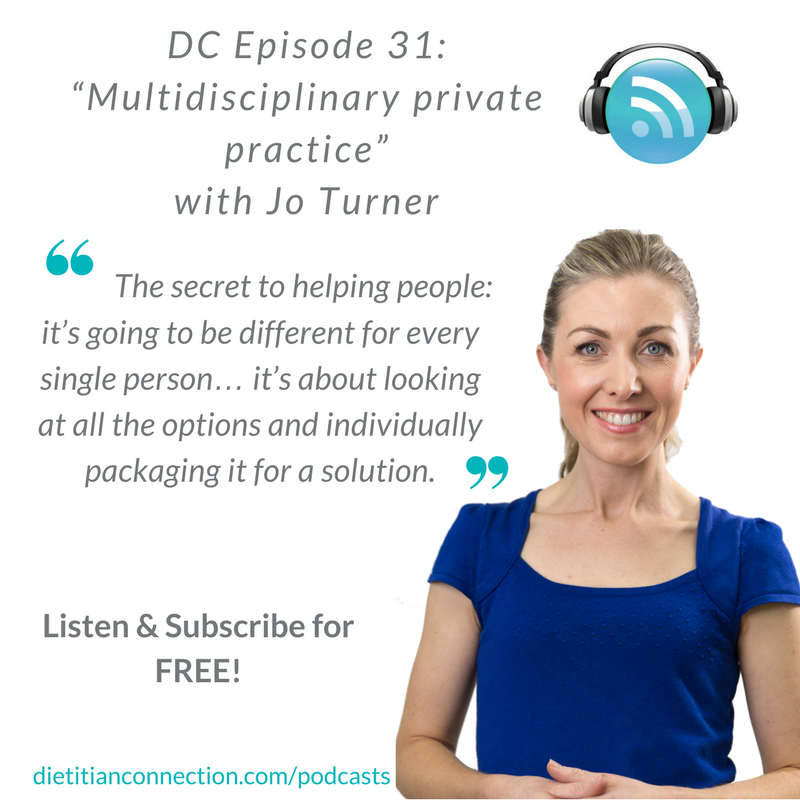 Jo is currently the director of a private practice called NuActive Health, where she manages a team of dual qualified Dietitians / Exercise Physiologists and medical professionals using an integrative approach. Click here to read more about Jo. • Food, health and helping people; Jo knew dietetics was her calling from a young age. • How NuActive operates – an integrative and multidisciplinary care model. • The NuActive kitchen and how this transforms nutrition education and support. • The key to managing teams – communication, respecting each other’s expertise and passion. • The challenges and rewards of running an integrative, multi-disciplinary private practice. • Jo’s philosophy – solution focussed. • Methods, and the importance of, self care in private practice.